The Ball Complete Book of Home Preserving, Jarden Corporation, 2012. An updated version of this venerable and beloved reference work, including 60 pages on pickling everything from asparagus to zucchini, as well as relishes, salsas and chutneys, which are often classified under the “pickle” label. Mrs. Wheelbarrow’s Practical Pantry: Recipes and Techniques for Year-Round Preserving, CathyBarrow, 2014.Comprehensive, well-researched and organized, beautifully written, artistically photographed. Sandor Katz’s website (wildfermentation.com). Prolific author and revered food preservation guru Katz is the canning/pickling/fermentation expert’s expert. Michigan State University Extension online (msue.anr.msu.edu). Type “pickling” into the search box for recipes, tips and classes. Note: Along with minding time and temperature guidelines, adhering to the correct acidity levels is crucial to preventing foodborne botulism poisoning. If you have old family recipes that you would like tested for acidity levels to make sure they are safe to use, there is at least one lab in Michigan, Great Lakes Scientific (glslab.com), which offers that service for a small fee. If necessary, the recipe can then be adjusted so that the family tradition can safely be carried on. 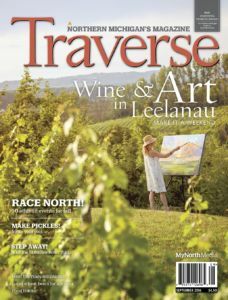 These pickling and canning safety tips were originally published in the September 2016 Traverse, Northern Michigan’s Magazine. Try these Northern Michigan pickling and canning recipes this fall.